Meryl Ward has spoken of her pride at the progress made during her two years as chair of AHDB Pork. 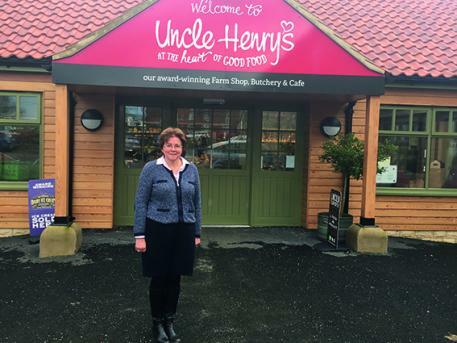 But further change is needed if the levy body is to deliver on the potential wrapped up in its three-year strategy, she told Pig World in an interview in this month's edition. “The new branding has led to much greater recognition of AHDB’s work within the wider stakeholder community, but there is still much more to do," she said. She is delighted with AHDB Pork’s new three-year strategy, which outlines various priorities and actions within AHDB’s over-arching vision across its six sectors. She highlighted the need for AHDB to ensure it has the expertise available to deliver the next stage of the levy-funded marketing campaign for pork. Subject to Defra approval, the intention is for the campaign to commence this autumn. She concluded with a plea for AHDB Pork to ensure it gets its internal culture right. To read the article in full, click here or see the April edition of Pig World.